I don't know about you but I LOVE long romantic walks down the aisles of Target, especially if I have a popcorn and soda with me, and even more if I'm ALONE haha. 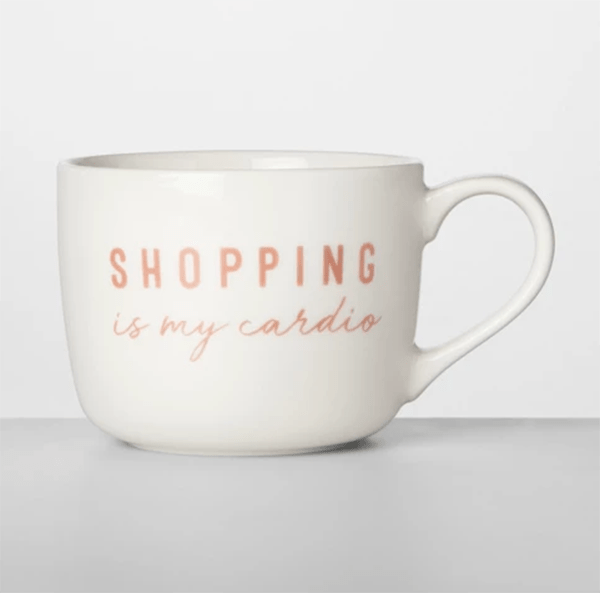 Targethas been pulling out all the stops lately with the cutest stuff! Dupes and originals and ALLLL the things that make me want to shout “take my money!” Or at least my wallet shouts that. 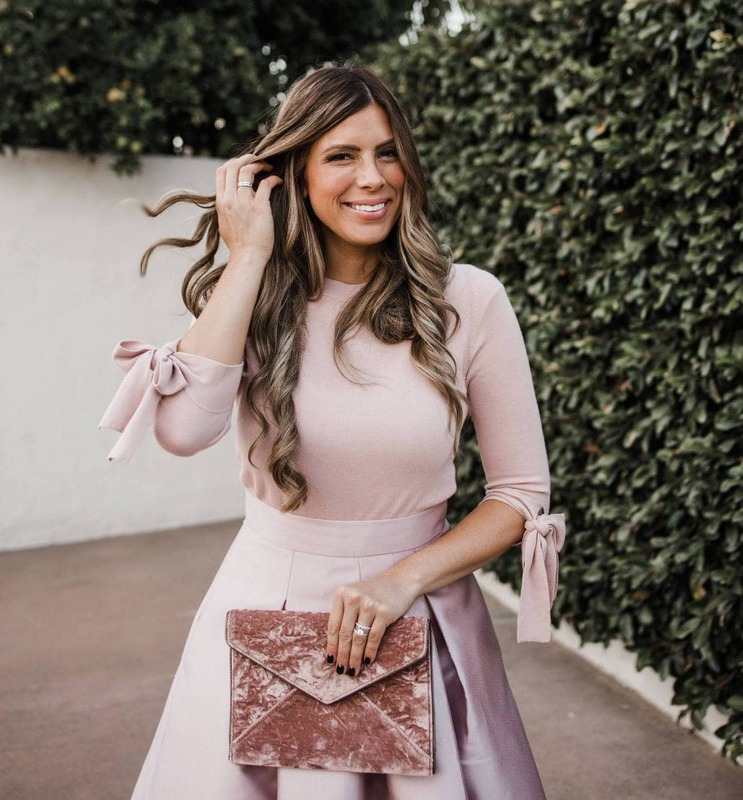 SO today I'm sharing all of my personal hand-picked finds and faves from our favorite store with the little red circles. 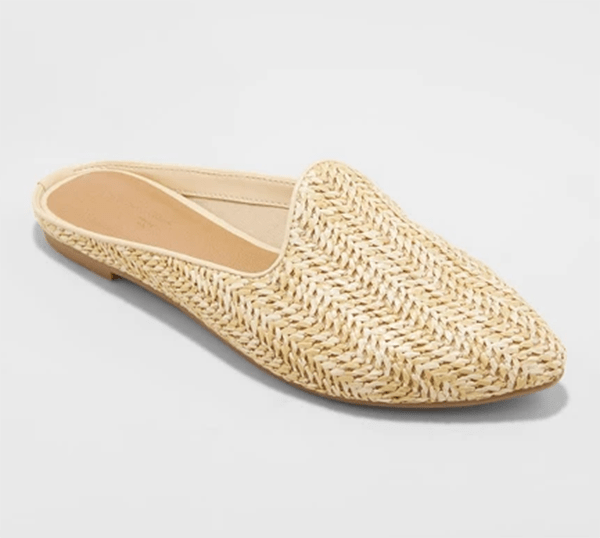 These shoes are first of all SO CUTE and second of all an incredible dupe to these department store slides that I've had my eye on for months!! I just did in-store pickup for the LAST pair in my size at my local Target and I. Am. Obsessed. If ever my life was summed up in a mug thiswould be it haha. 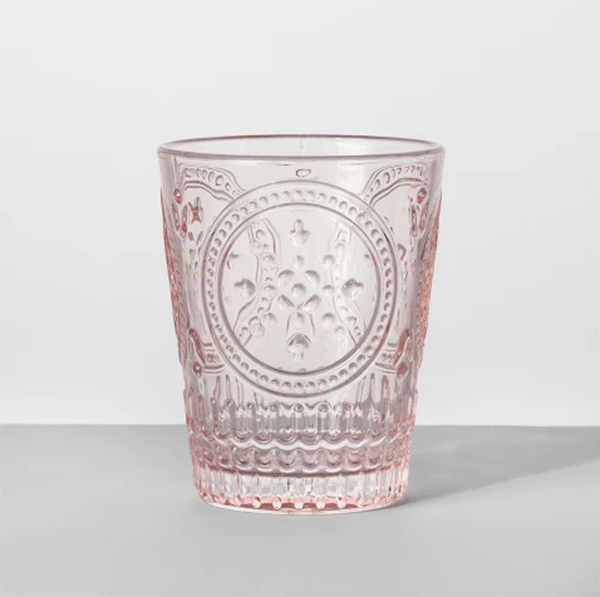 The prettiest little tumbler that's almost identical to this Anthro tumbler but for $4 a piece instead of $10! That adds up fast when you're buying a whole set for your kitchen. I have legit had dreams about this chair. 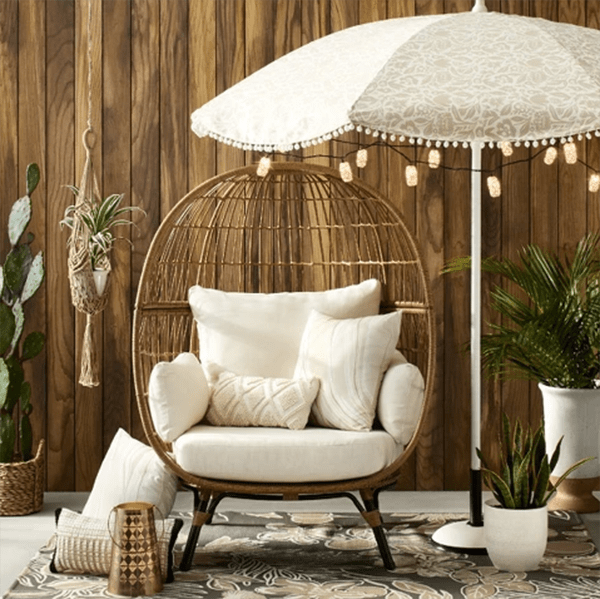 I want it for my backyard so bad! It's the type of thing I feel like you'd find at Restoration Hardware but for a million dollars! Okay maybe not a million but for sure over a grand and this one is less than half that. SCORE. Also while we're at it let's just drool over everything in this collection. 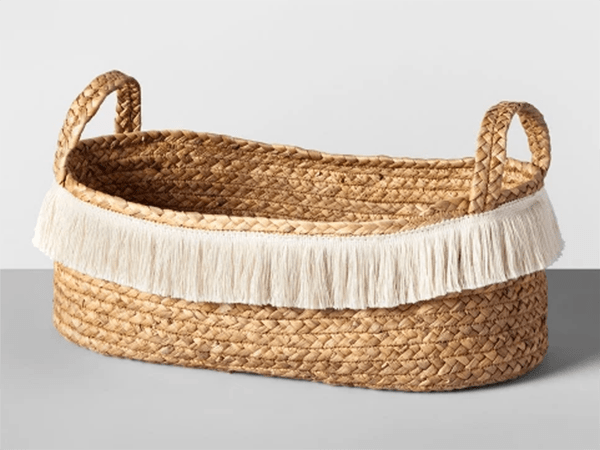 One can NEVER have too many baskets right? 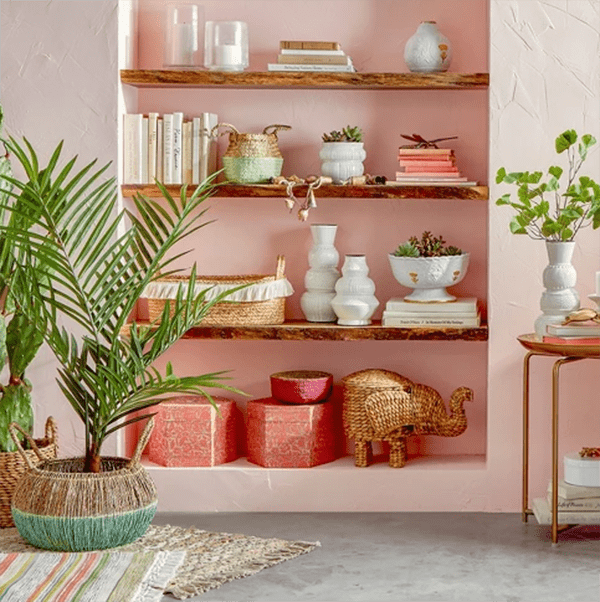 This one is so pretty and look below at how cute it is styled on these shelves! 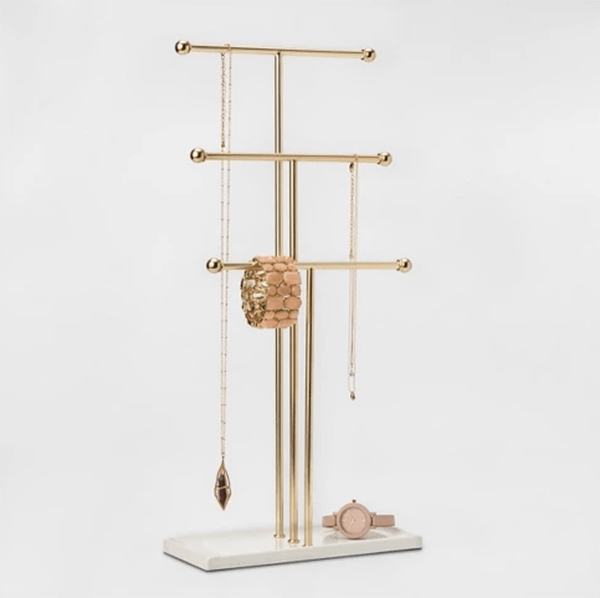 I have way too many bare shelves in my house just begging to be filled up with cute, functional pieces like this little guy and as Marie Kondo says, everything should have a home. 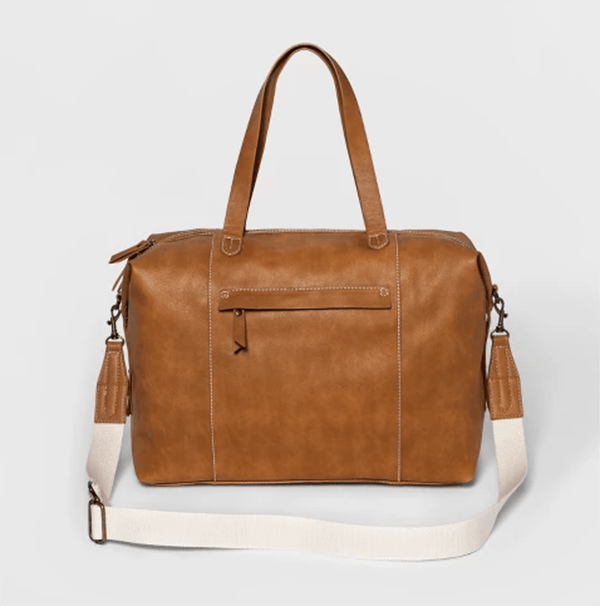 If you have a quick overnight trip planned sometime soon then this weekender might be calling your name! Super high ratings and the pretty design of this bag caught my eye and I figured I better share with you guys. 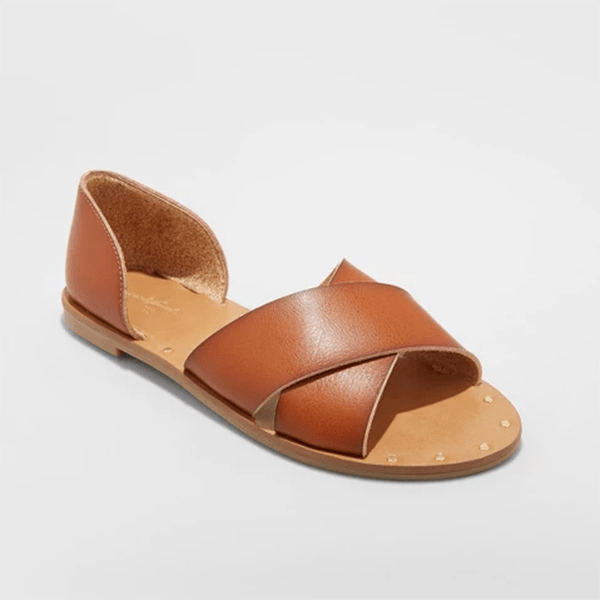 This is a definite dupe of the Madewell sandals that I wore in this past post (that I don't think they even make anymore, sadly!!) but the Target buyers seem to be SUPER happy with the quality and look of this dupe so I'm sold too! 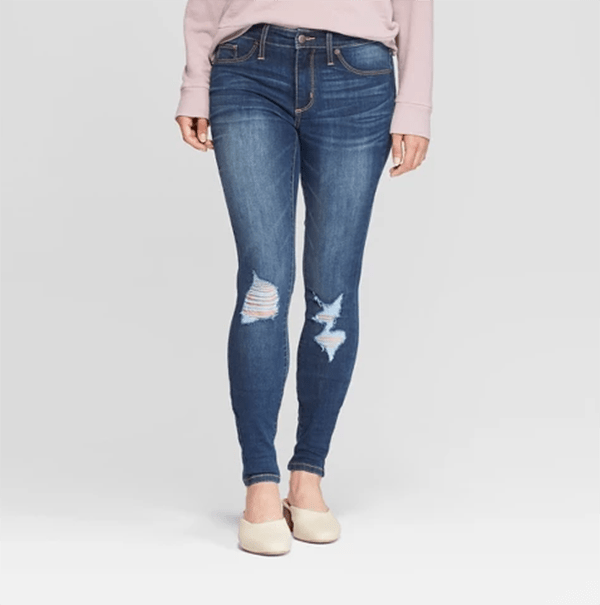 One of the very highest rated pair of jeans on their site, these jeggings have just the right amount of distressing and stretch, fit true to size, and are making a lot of women's legs happy right now. Yours might need to be next! 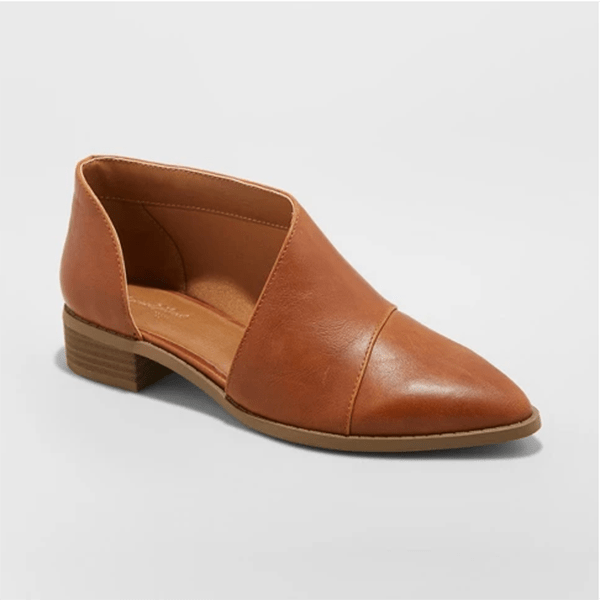 Easily one of the best dupes I've ever seen, these cute pointed toed shoes are a dang good knockoff of these Free People shoes that I've loved for like ever and they have a gazillion ultra high reviews so if you've loved the look but not the price of these shoes, now is your chance to get them for pennies on the dollar! 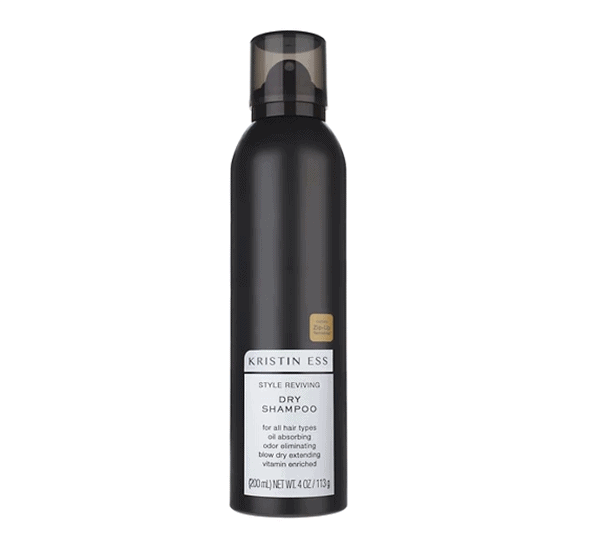 I recently tried this dry shampoo and was IN LOVE. It smells like heaven and works like a dream! 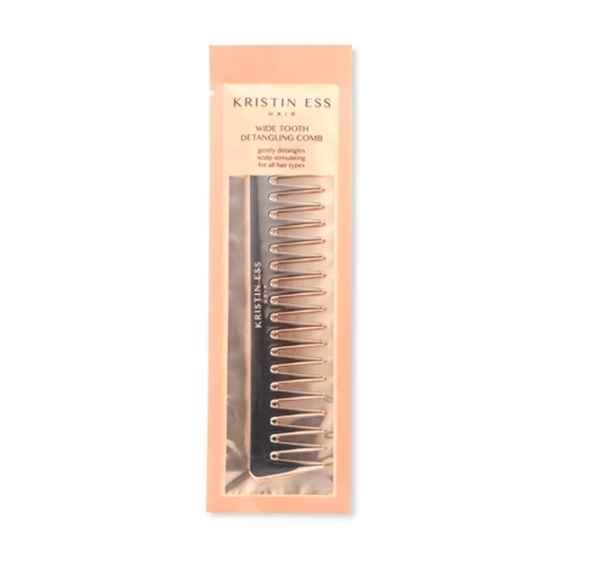 Pretty and fun and if you aren't using a wide tooth comb in the shower with your conditioner, you're doing it wrong! 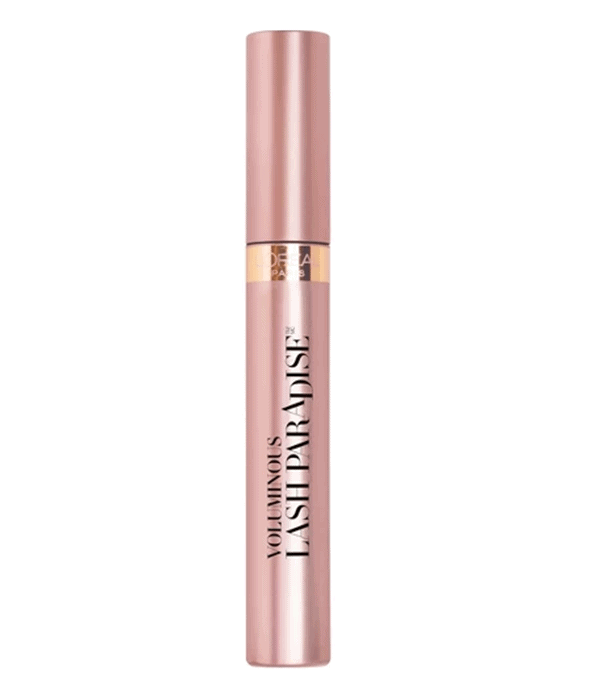 Hands down my favorite drugstore mascara of all time!! I heard once from someone that Beyonce's makeup artist uses this stuff on her too, but I can't remember where I heard that so it might be like that time that Chunk said Michael Jackson came to his house to use the bathroom, or his sister ha. Either way, I promise you this stuff is legit!!! 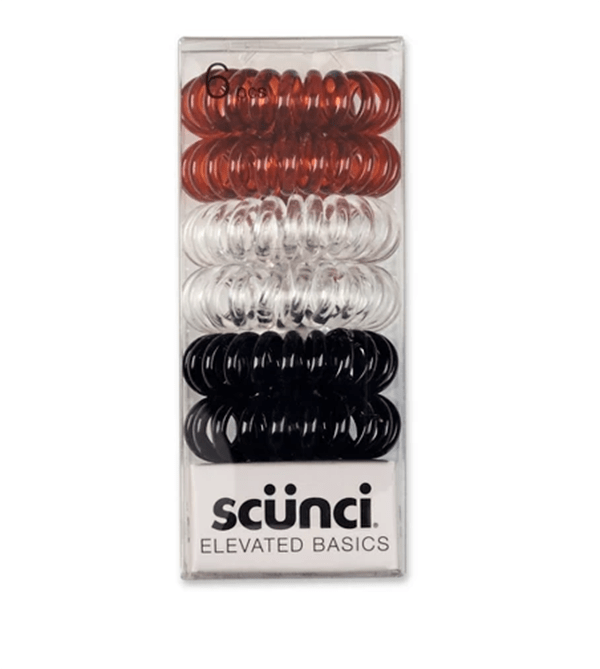 If you haven't experienced the magic yet of using one of these type of hair ties to throw your hair back in a pony or up in a topknot and then been amazed by the lack of kink left in your hair well then, you're in for a real treat! Love that this treat will only cost you $3 too! $3 for SIX of these. $0.50 a piece. You're welcome. Pretty enough to sit on your bathroom counter but functional enough to make sure you're not walking around with uneven winged eyeliner or brush strokes in your foundation. 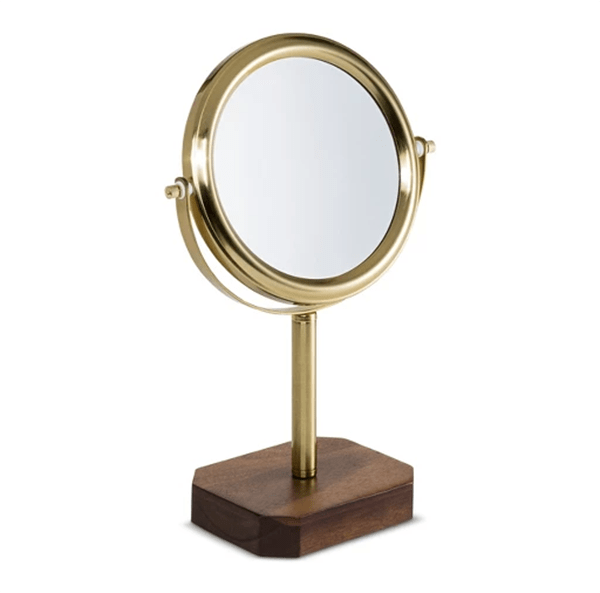 This super high rated magnified makeup mirror is also under $20 so basically you need it like you need toilet paper. 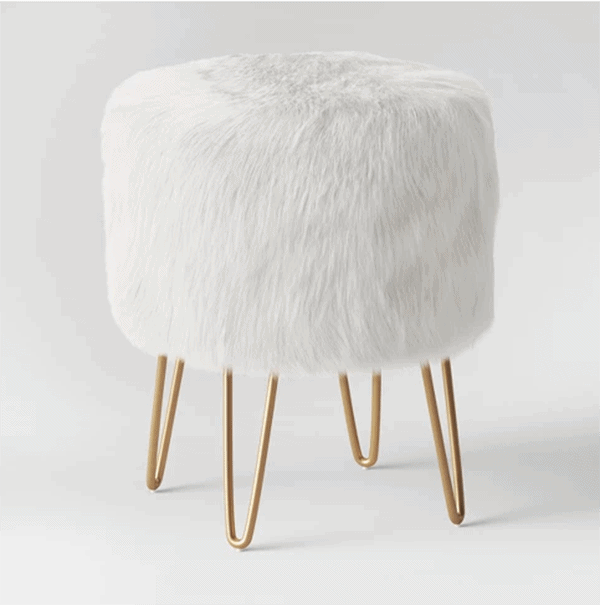 Spoiled myself recently with this little faux fur stool for my vanity and I'm not mad about it! It's comfy to sit on and pretty to look at. 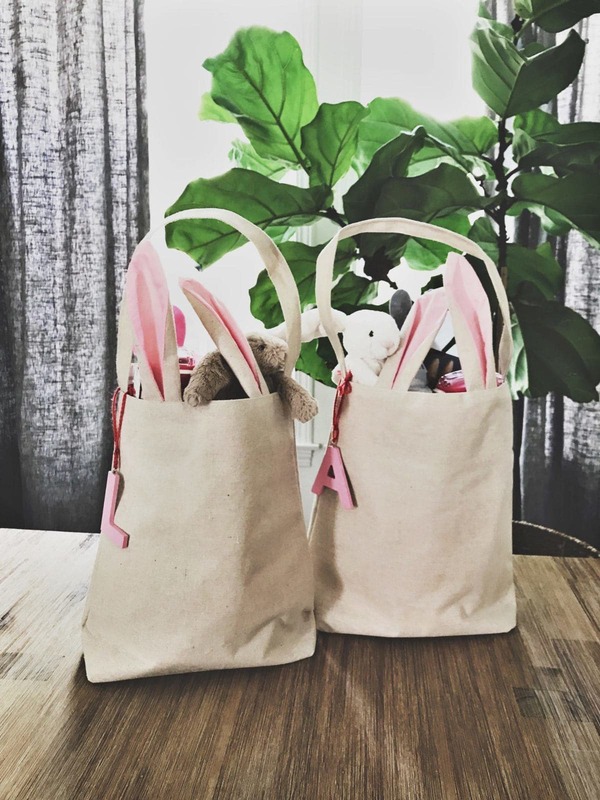 Again with the Marie Kondo thing, everyone is looking right now for cute but inexpensive ways to give all their things a home, and I think this fits the bill perfectly for all your sparkly things. 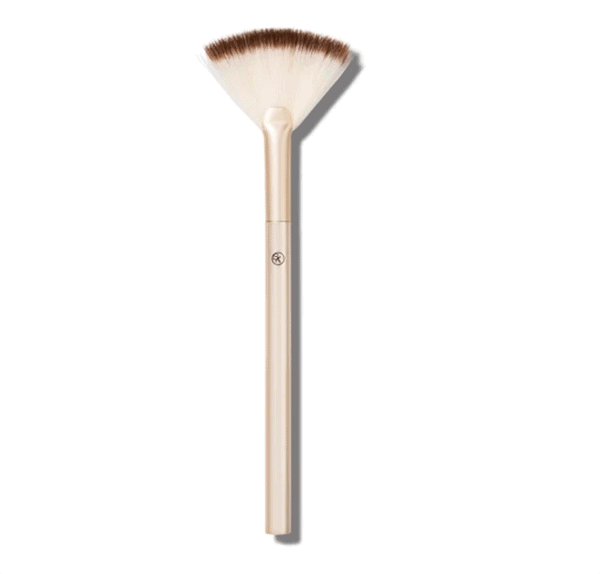 If you've been looking for a good highlighter brush like I have, this one is pretty cheap, pretty cute and pretty highly rated too! 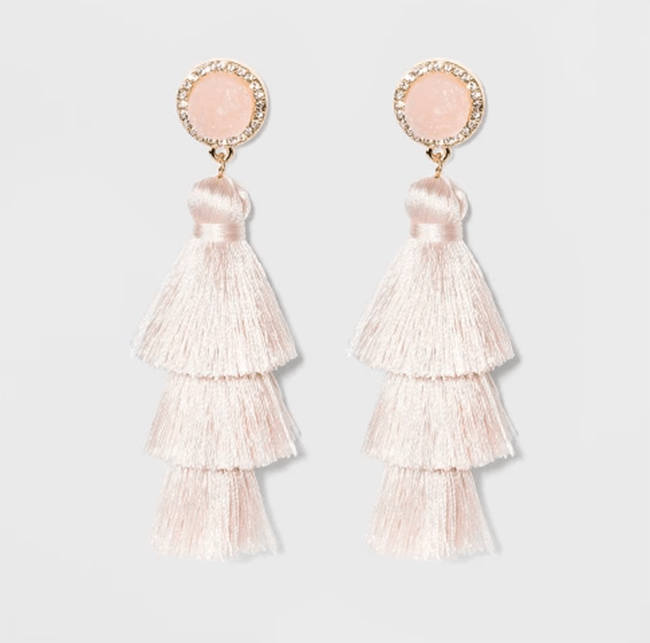 I love that Baublebar has a more affordable line at Target and these little blush beauties are calling my name. I just ordered this jumpsuit and Neil might not love it but I have a feeling it's going to be my new comfy BFF. Can I just tell you for a minute how IN LOVE I am with my quip toothbrush?! 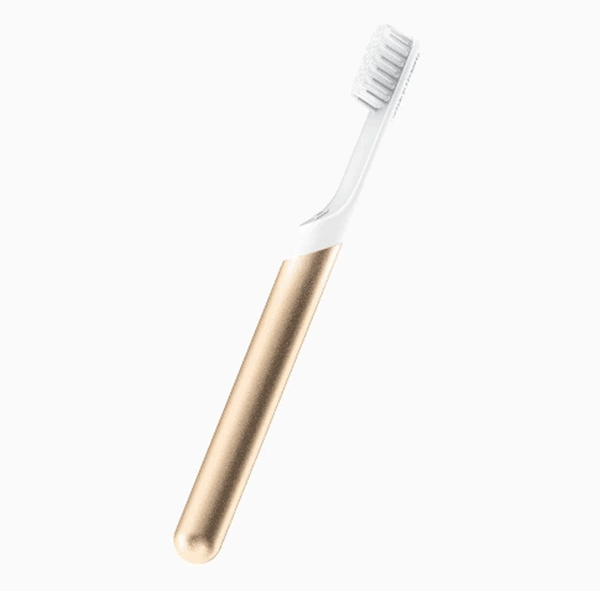 I love that it's sleek and pretty and looks good on my bathroom counter and helps me brush longer and it comes with a built-in travel case and something about a pretty toothbrush makes me happy. Weird? Maybe. But it's the truth. 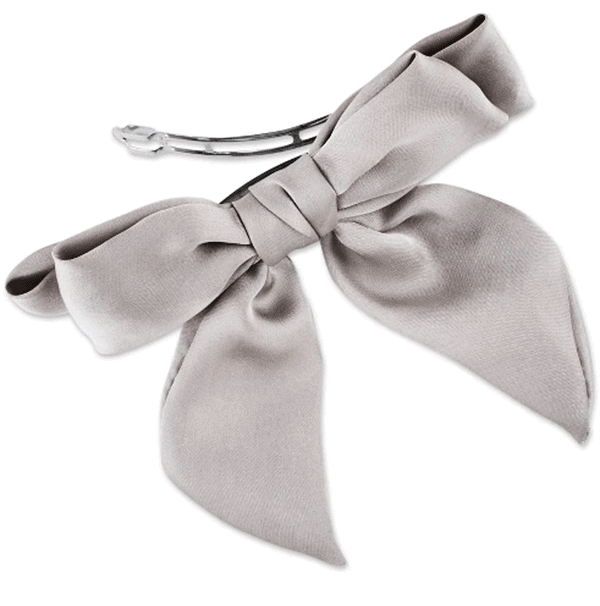 We can never have enough bows in this house and I love thisfor my little girls or honestly I'd wear it myself to dress up a plain old ponytail too! HOT deal on TUMI luggage! Dang, these are all so good!